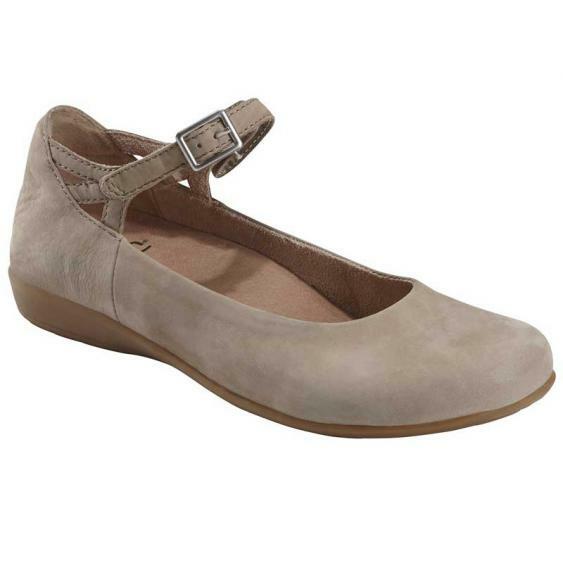 The classic ballet flat meets the classic mary-jane in the Earth Adler Alma. This adorable women’s shoe is crafted from premium leather with a soft leather lining and an adjustable strap for the perfect fit. The Earth® Powerpath® footbed is designed to guide the foot along its natural path for all day comfort and dual density cushioning, along with a reinforced arch will keep you going all day. This stylish look is the perfect amount of dressy, classy, and casual to go with all your favorite outfits. The new Earth® line is the latest in a growing portfolio of wellness-predicated shoe collections from Earth Brands, each one grounded in the ideals of promoting a healthy lifestyle. The essence behind the new Earth® brand dates back more than 40 years when a young Danish yoga instructor observed that wellness – in its most organic form – should be part of everyday living, and then worked to develop a shoe to promote that. Stepping into wellness is no more complicated then stepping into any one of Earth's new leading-edge fashions. Earth's contemporary styling is complemented by a comfort footbed with multi-density latex cushioning, reinforced arch support and an over-padded heel that helps effectively absorb and displace shock.